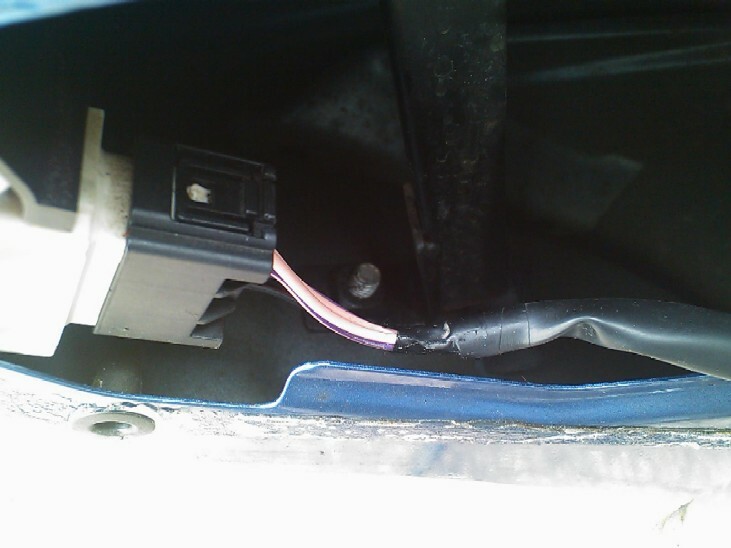 Here's another of the "common" faults or failures on the Disco 2, the door locks. These can be slow to operate, operate intermittently, or pack up all together.......it also seems to be worse when the outside temperature is colder, and that's usually when they finally give up. 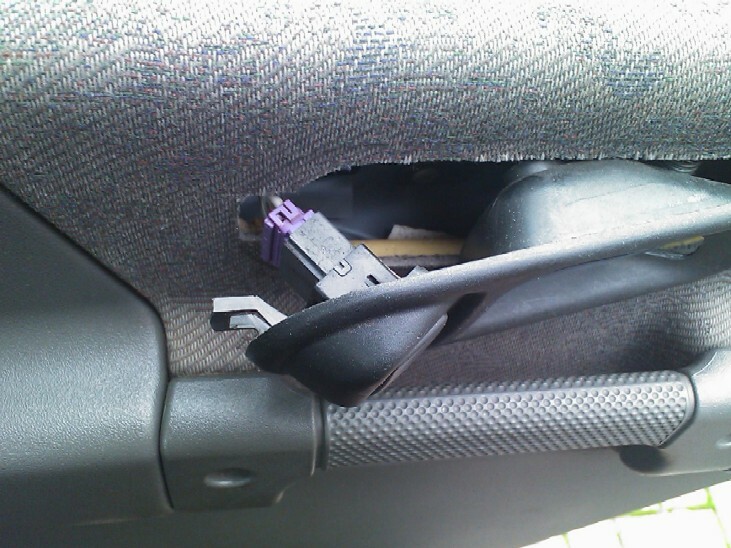 There is no "quick" fix to be honest, if your door locks are playing up, its time for a new one. 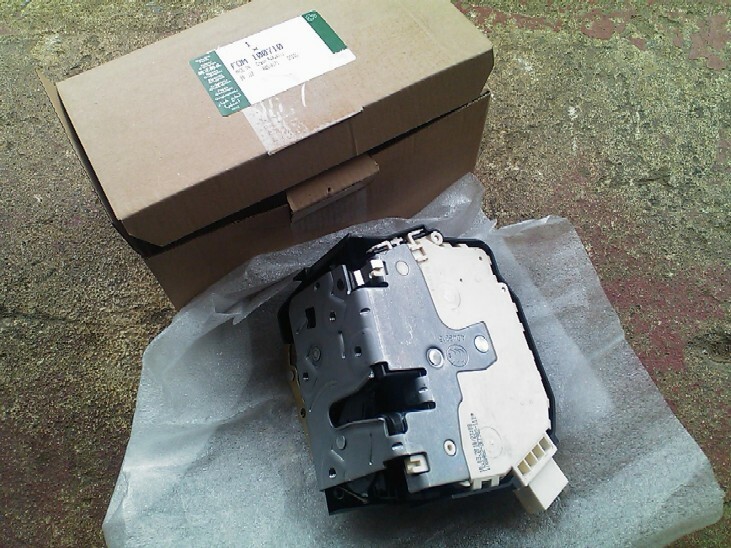 They retail around £60 a door and are all handed due to the fact the motor / lock assy is all contained in one unit. 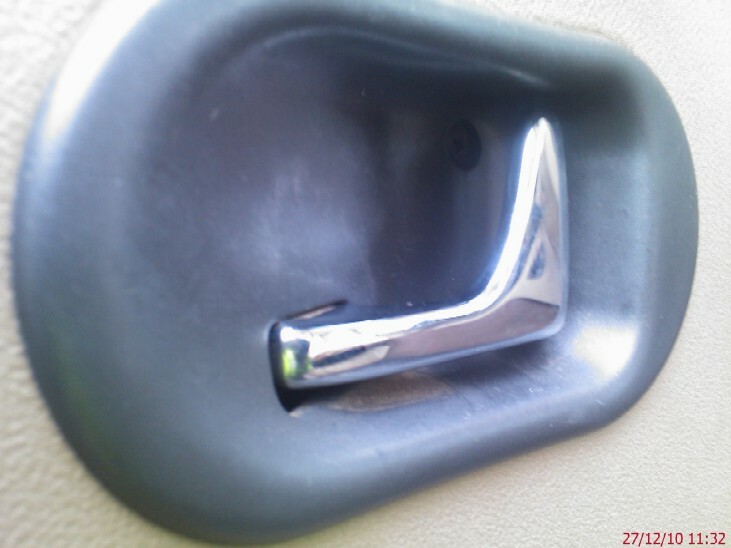 Above is what they look like, all 4 doors have similar assy's, but the drivers is slightly more complex as it has the key / switch assy on it as well. 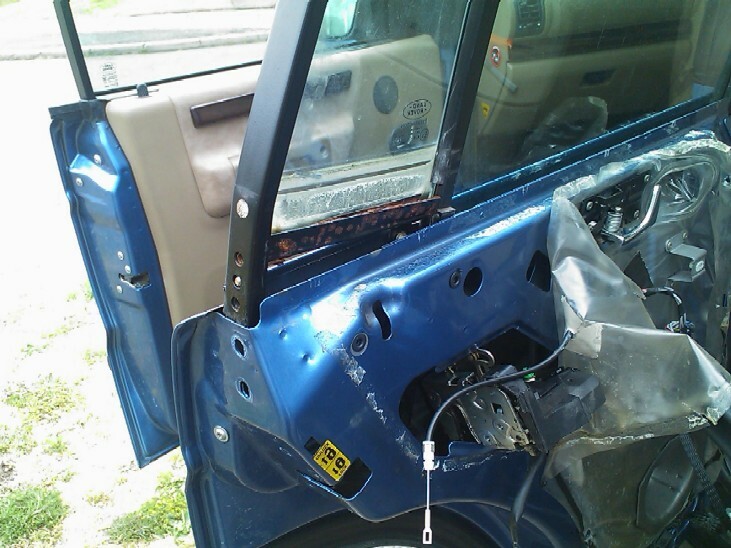 NOTE:- 2 different vehicles were used in this write up, but the pictures are from both rear doors. 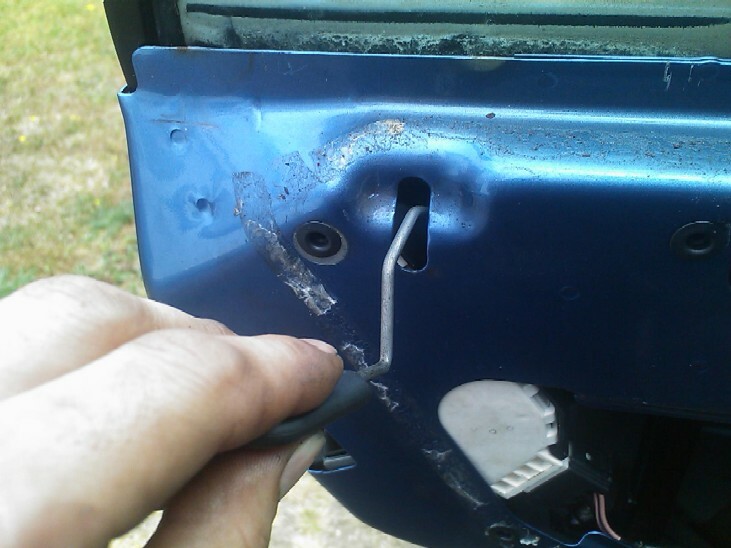 To start with you have to remove the door card / interior trim, to do this start with the 2 screws located in the door handle. 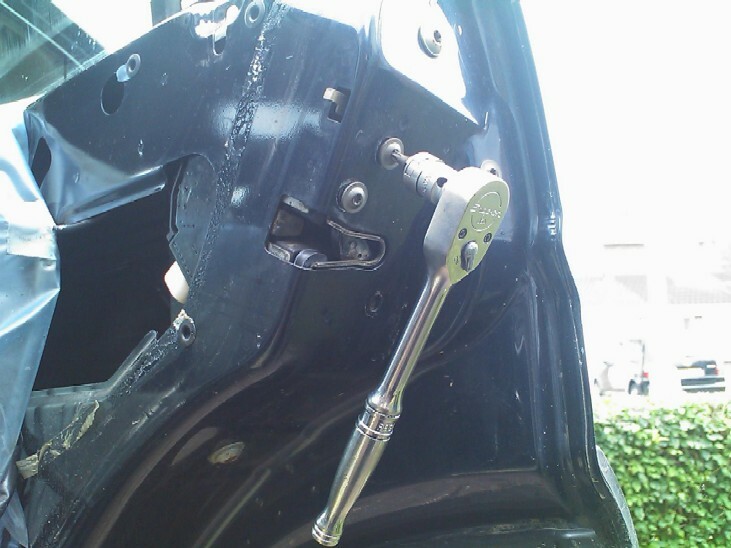 Next you need to remove the screw that holds the inner handle finisher on. NOTE:- Front door shown, ALL doors similar. 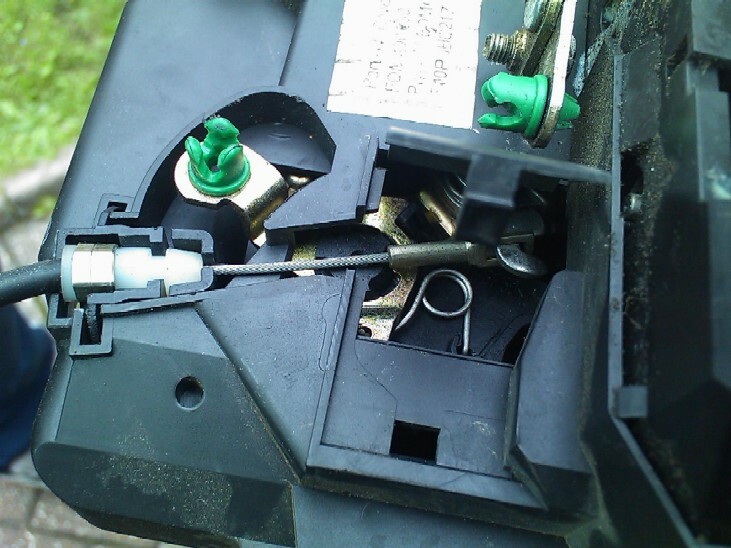 Once the screw is out, carefully lever out the trim and then disconnect the electrical plug to the window switch. 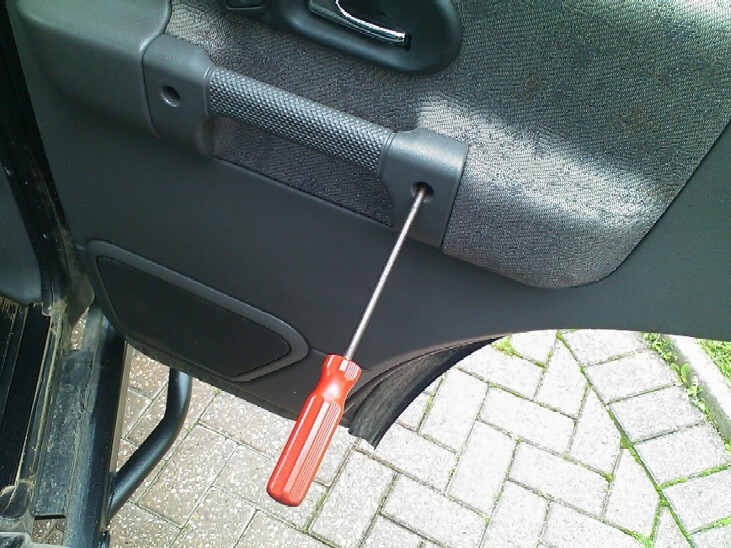 The ideal place to start on the rear doors is where it goes around the wheel arch, once your tool is in, lever away so you can get your finger tips in there and then carefully unclip the door trim all the way around the 2 sides and the bottom edge. 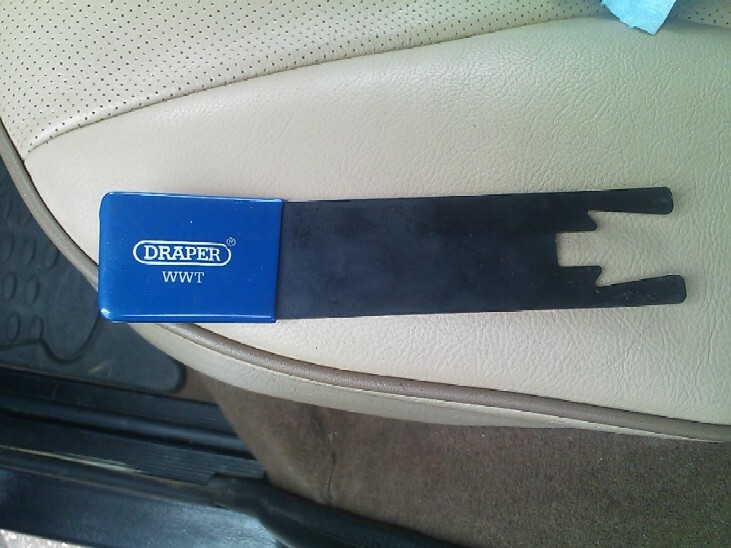 the trim plugs / retainers are space a few inches apart and it is much better to pull on the trim as near as possible to where the plugs are, that way there is less chance of breaking them. 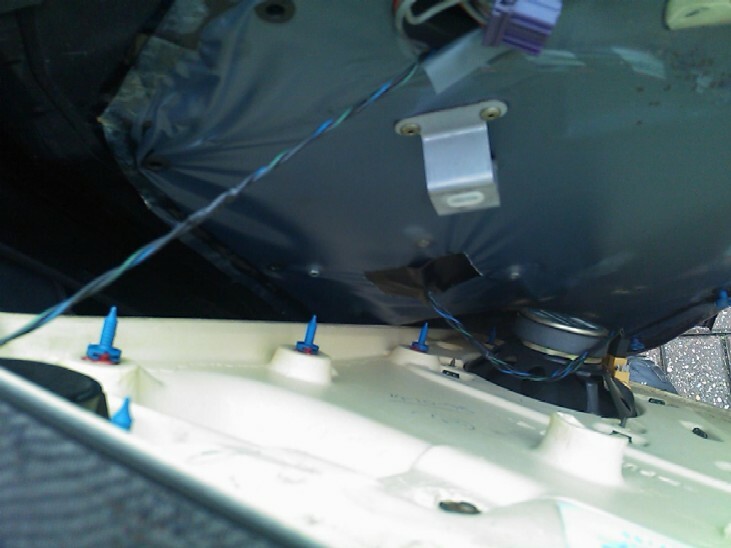 Use the picture below to see where they are located, Trim plugs are the blue plastic things. 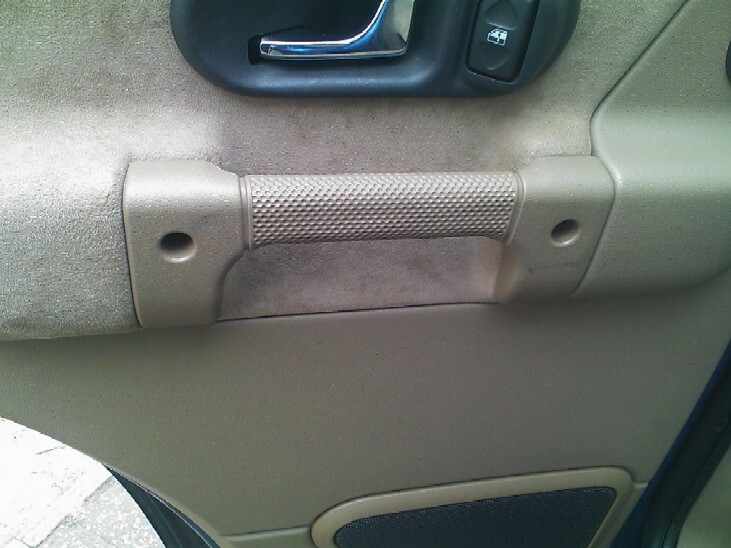 Some of the trim plugs may pull out of the door retainers and remain on the door, these are the ones that will need replacing, simply remove them from the door and clip the new ones back onto the trim panel. Its pretty self explanatory when you see them. 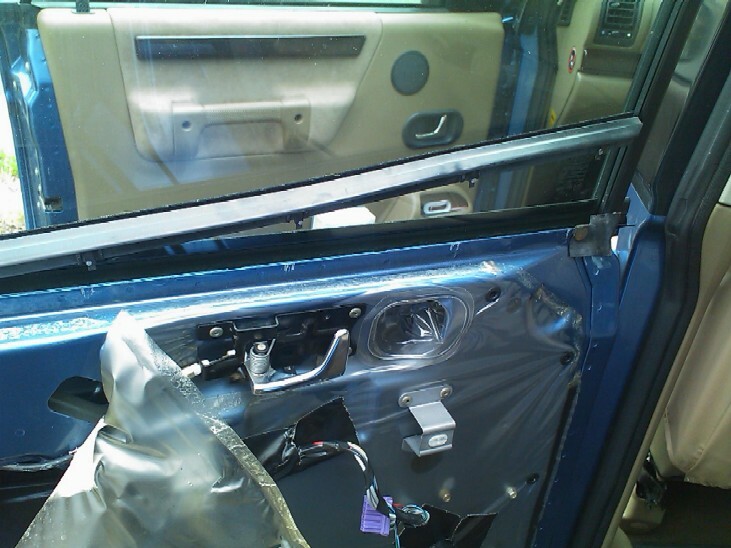 The door lock assy / motor can be seen in the top left of the door (white plastic item). 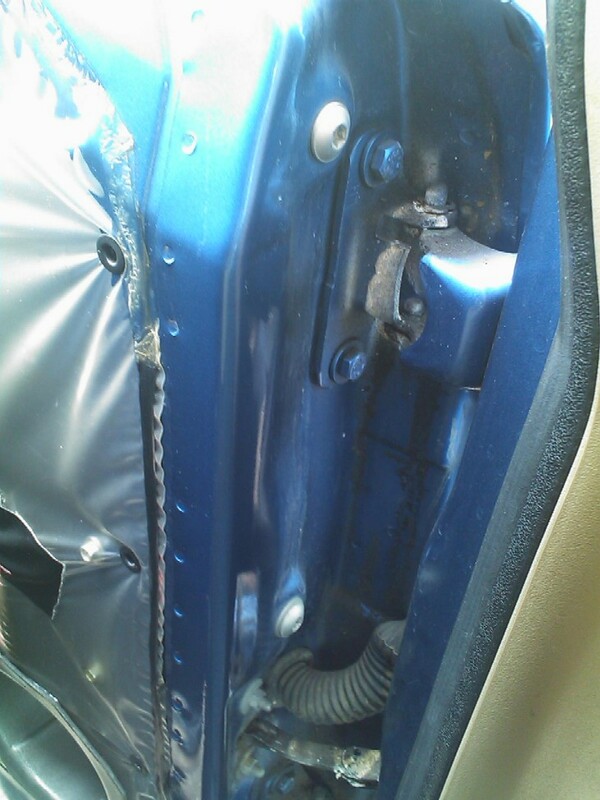 The door is covered internally by the dust sheet / splash guard and as with all cars I have messed with over the years it is very difficult to remove / peel away this plastic liner without it tearing!! 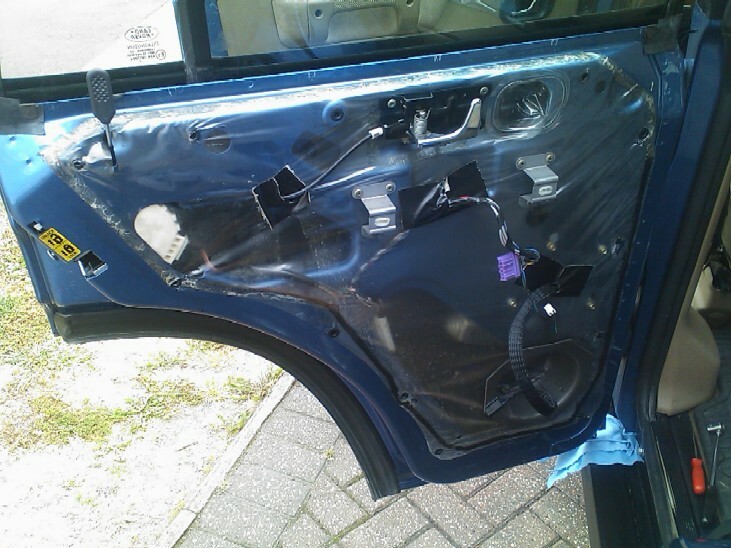 !......take your time and slowly peel it back, if it tears don't worry to much as it can be re-taped together when the job is complete. 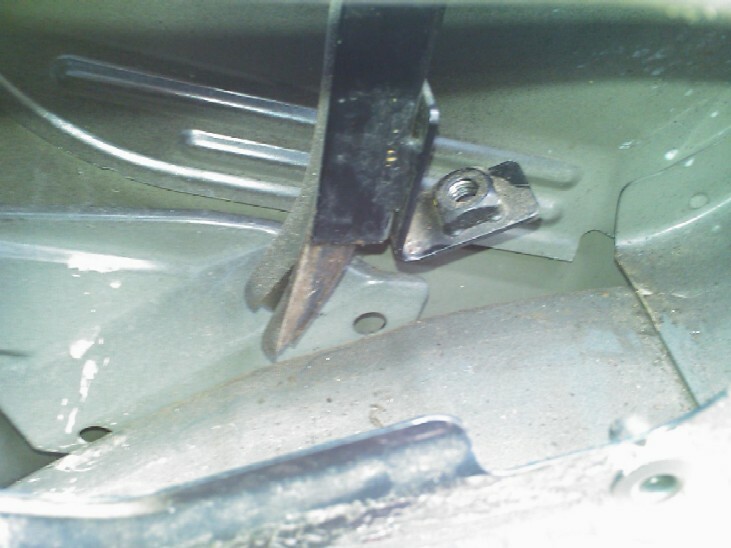 You need to peel it back enough so the liner is back to where you see the steel bracket in the picture above that mounts the interior handle, it will most likely tear as it comes around where the trim plugs go. 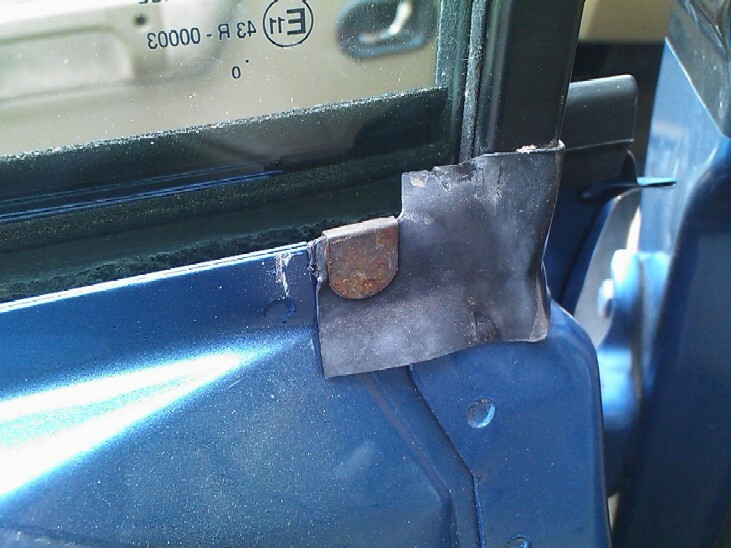 Carefully prize them up with a small screw driver to release the trim, then once they are both off, you can CAREFULLY remove the weather seal by lifting it directly up the window glass, DO NOT use to much force as the strips contain a metal insert that will bend and go out of shape if you are to forceful with it. 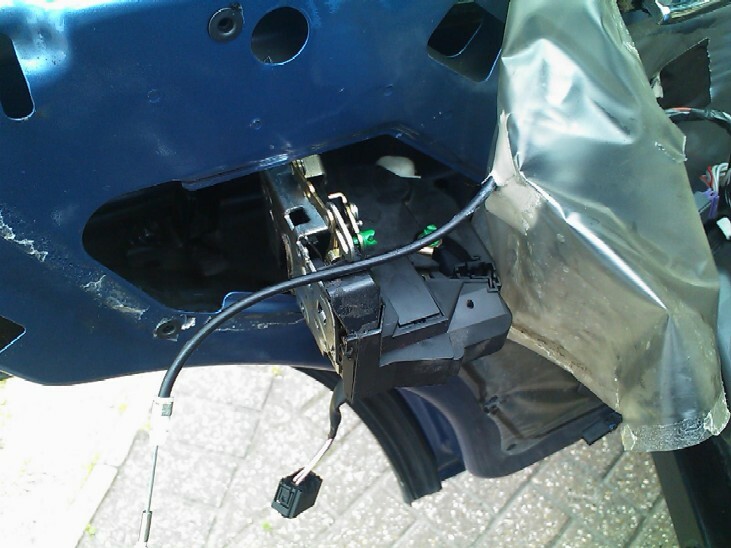 You could do that after the motor is out, but for me its better to do it whilst the motor is still held to the door assy. 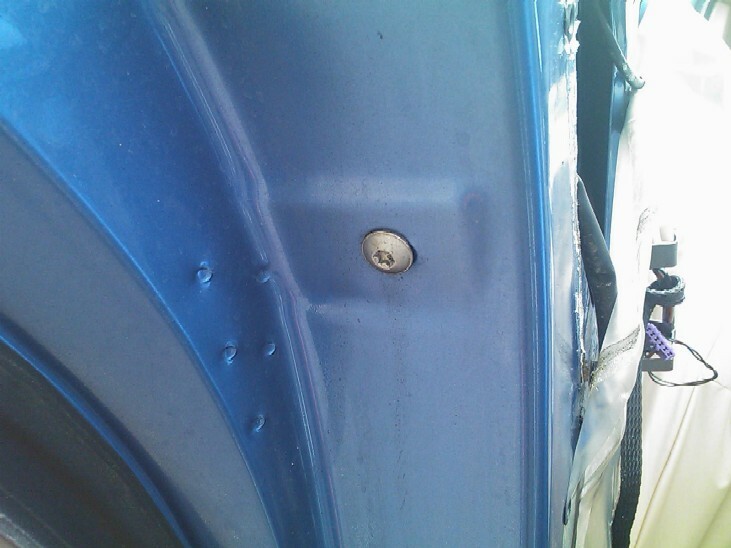 Now we need to undo the retaining bolts for the motor itself, these 3 are in the wheel arch face of the door. 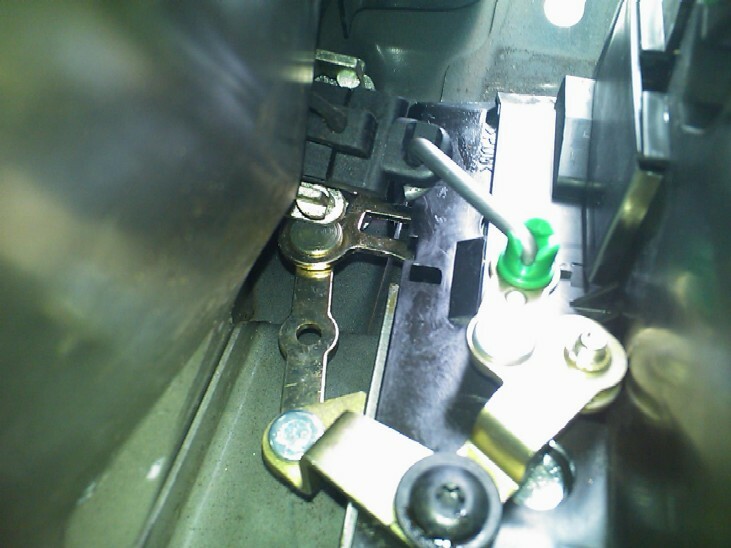 Remove 2 completely and leave one finger tight to stop the motor dropping into the door. 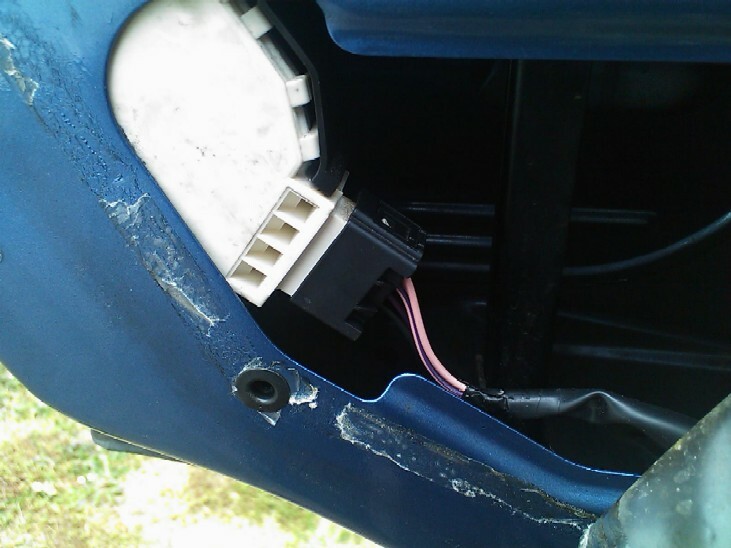 By all means do this with the motor still in the door (as I did), but if you have not seen or done it before then looking at the picture above will hopefully show you how its connected, there is enough slack to remove the motor and unclip it when its outside the door assy. Well that's about it really, its not a bad job if you follow the guidance I have provided here, hopefully you will find it useful. 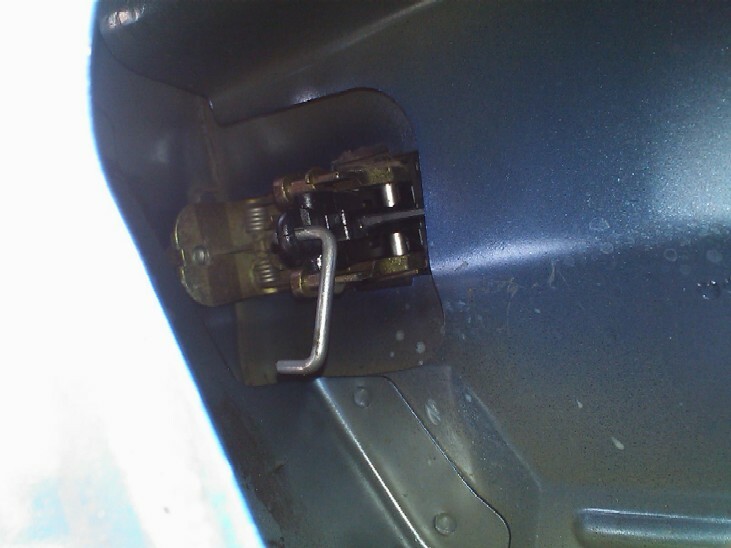 The refit is the exact reverse of the removal, don't forget to connect the interior handle cable, and both the lock button and outer handle levers when the lock assy is refitted to the door. 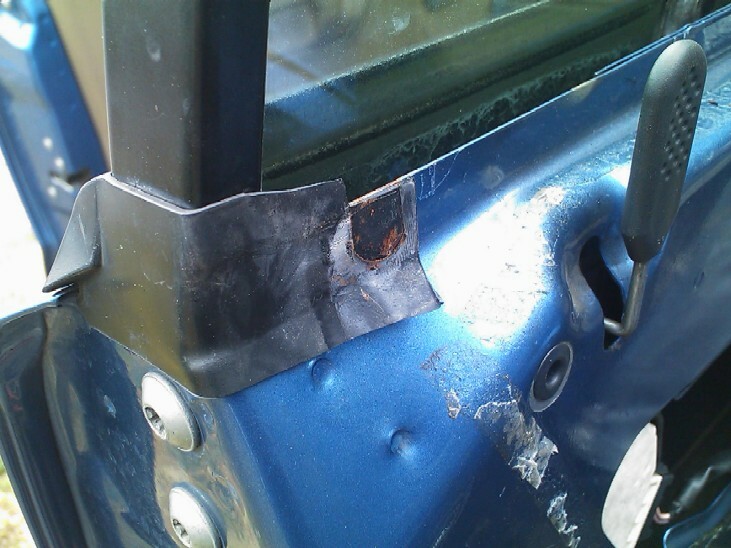 If your splash guard was torn when removing it, then use a good quality duct tape or similar (not insulation or masking tape) to repair it. 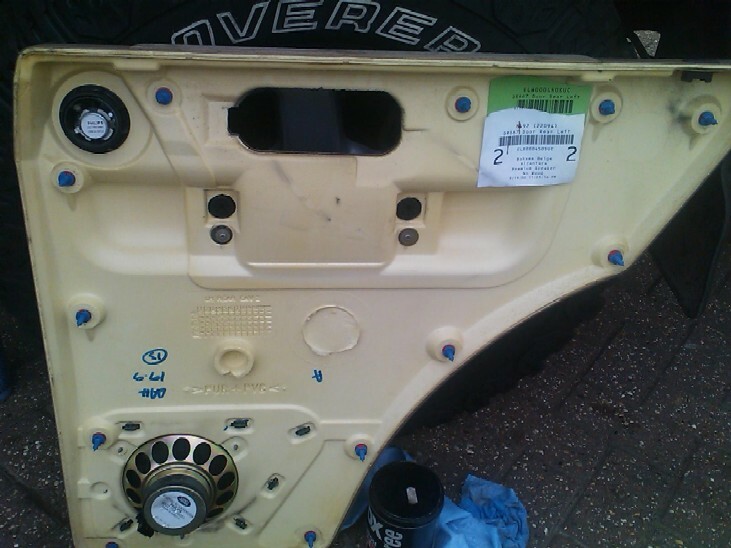 Where the splash guard is on the outer edges, it will still be able to be stuck back down with the factory "putty" used. 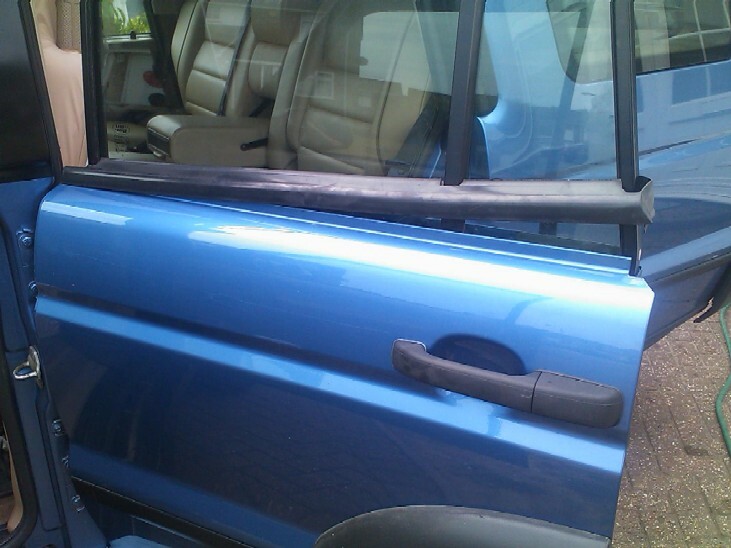 The 2 rear doors are identical, and the front doors are similar, Passenger front door replacement will be added to the site very soon.